You are viewing mini cruises on Independence of the Seas. Click here to see all 2019 and 2020 mini cruises. Green I consider this an excellent price and fantastic value for money. Amber I consider this a good price for the length of cruise. Red I consider this a bit pricey in my opinion. Still a good cruise, just on the expensive side. This one's a bit pricey but is still a good getaway. Good price for a mini cruise. * Lead-in prices correct at the time of checking. See cruise details for details. Here's a quick overview of upcoming mini cruises. Scroll up for more details. Independence of the Seas is a firm favourite with Brits. Most summers she returns to Southampton where crowds flock onboard. Launched in 2008, the large ship offers something for everyone. Passengers young and old enjoy the American-style food and service, the water park, the pools, the ice rink, and the entertainment that takes place in the theatre and indoor promenade. Independence of the Seas tends to sail on mini cruises to Le Havre (for Paris) and Zeebrugge (for Bruges or Brussels). Independence of the Seas entered service in 2008. The Freedom-class of cruise ships (including this one) were once the biggest in the world, but in 2009 the ships lost that record to Oasis of the Seas. The 154,407 gross tonne ship carries up to 4,370 at a time, making it a large ship by any standard. Its sheer size means it can offer facilities that smaller vessels cannot, making it ideal for all types of traveller (solo sailors, couples, families, groups, all consisting of everyone from the very young to the very old). There are 15 passenger decks. The three-deck-high main dining room is always busy, as is the self-service Windjammer buffet restaurant. Several speciality restaurants offer a variety of cuisine options for a fee. Johnny Rockets is a casual 50's style diner, Chops Grille is the steakhouse, and Giovanni's Table is a Tuscan trattoria-style venue. Stand-out features include an outdoor FlowRider surf simulator, a rock climbing wall, and ice rink which is available to passengers when the cast of the ice shows are not rehearsing or performing. Take a dip in the pool, relax in the large hot tubs, and kids will love the H2O water splash park. Kids continually rave about the onboard children's clubs at Adventure Ocean. Segregated into groups by age, staff host non-stop fun throughout the day and evening. Teenagers have their own clubs. Relax with a pampering treatment at the Vitality Spa,or hit the adults-only Solarium for some peace and quiet. Flirt with lady luck in the large casino, complete with tables and slot machines. Kids will love the games arcade on the ship, too. Stroll along Royal Promenade, an indoor street lined with shops, a British style pub, and a coffee shop. Head to the well-equipped gym to keep fit at sea. Alternatively, run laps around the jogging track on the pool deck, or head to the sports court. Watch Broadway-style shows in the theatre, or watch movies under the stars late at night on the poolside screen. Alternatively, head to the lounges or nightclubs to dance the night away. 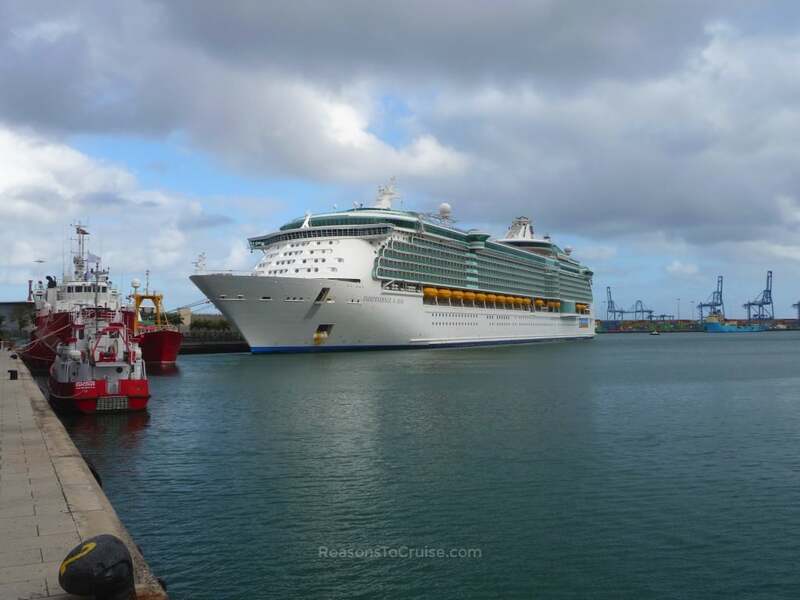 Read my Independence of the Seas review here and my inside cabin tour here. Fancy staying in a quirky cabin? Try this Ben & Jerry's themed cabin.